Your MSP blog need not be uninformed. Today’s digital market makes advertising more highly quantified than perhaps it’s ever been. You can get the numbers on practically anything. How long does someone dwell on your web page; do they stay a while, or leave immediately? This is called “bounce rate”. What keywords are most effective? How many blogs should you write monthly? How long should the blog be? How should it look? 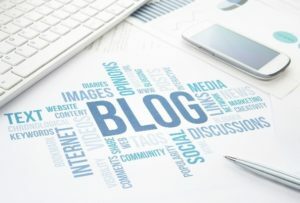 Your MSP blog should have themes which reflect your primary provisions to clientele and likewise appeal to the clients that are your largest demographic. Useful information that addresses common questions should be provided. Additionally, the look of your site should match what your target market is searching for. Forbes says you should put out somewhere around sixteen posts a month. It’s important to release them at the right time of day, at the right time during the month. Sometimes, you’ll have more or less success releasing blog posts on weekends, depending on your specific tech niche and that of your target market. Again, working with SEO agencies can be integral here. Is it better for your home page to be static, or for it to transition whenever you post something new? The answer to this question may be different for different MSPs and will again likely be determined by your market. An MSP blog which has themes that match provisions and clientele, adds new posts at the right intervals, and has a home page built around best outreach practices will likely be more effective.